An interactive puzzle. Can you put the pieces together to make the “Maybelle in the Soup” book cover? Click here! 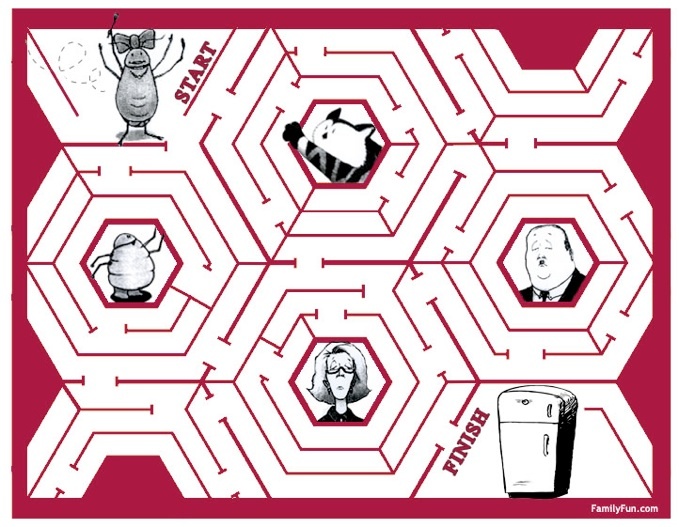 Print this maze and help Maybelle make it home to her refrigerator! But be careful. She has to dodge cat claws and the watchful eyes of Mr. and Mrs. Peabody! Click here! An interactive puzzle. Can you put the pieces together to make the “Maybelle Goes to Tea” book cover? Click here! 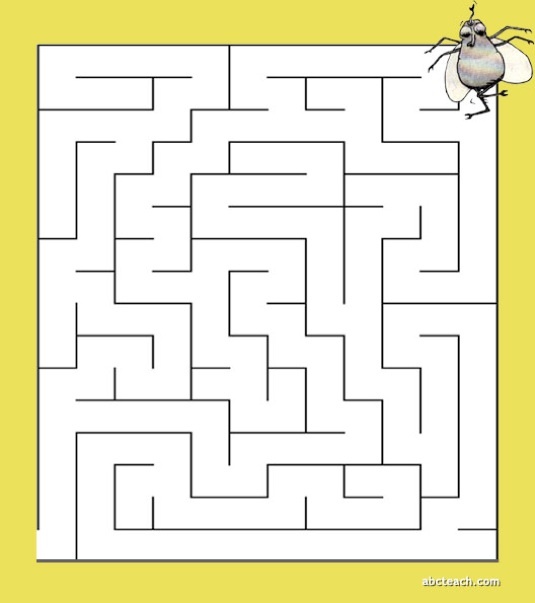 Print this maze and help free Maurice. But watch out because he’s always flying into things! Help him get out of this maze without knocking himself out! Click here! Buzz over and check out Maybelle on YouTube. BRZZT! Click here!